2nd April is World Autism Awareness Day. 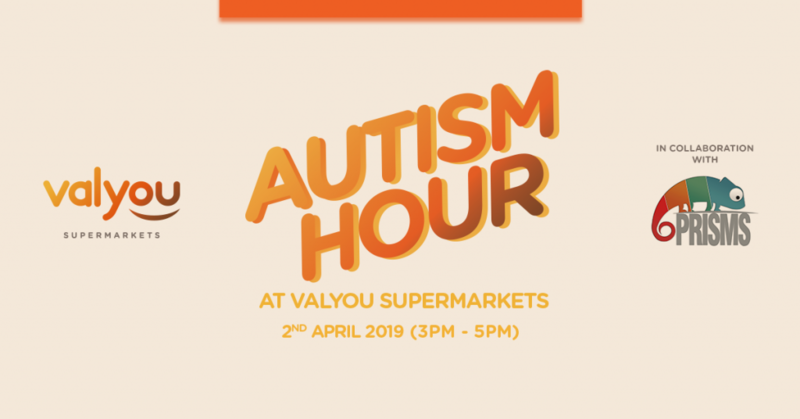 At Valyou supermarkets we will be raising more awareness as well as support the parents and carers of children within the autism spectrum by having an Autism Hour at all our supermarkets between 3 and 5pm. Trolleys and clashing basket sounds will be reduced to the bare minimum. We also encourage our regular shoppers to join forces in keeping a quiet environment and help us make this initiative a success and invite parents/carers of children within the autism spectrum as well as adults who are in the spectrum themselves to come to our supermarkets and besides shopping, share with us how we can improve their shopping experience. 2nd April will be a test run for all of us and if this proves to be a success, the intention is to have Autism Hour as a weekly regular. Autism Hour at Valyou Supermarkets is being carried out in collaboration with Prisms Malta and their project Autism Friendly Spaces. The primary aim of this project is to make existing services and businesses more accessible to people with autism. Such spaces include restaurants, hairdressers, bowling alleys and other entertainment sectors, whereby the environment’s accessibility is adapted for a few hours a week in order to address the needs of people with autism.